"Here's a bit of local music news from West London. 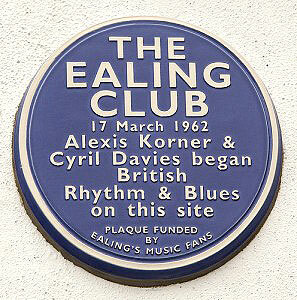 50 years on, West London's rich rock heritage has started to be recognised when a blue plaque was unveiled at the Ealing club on 17 March. 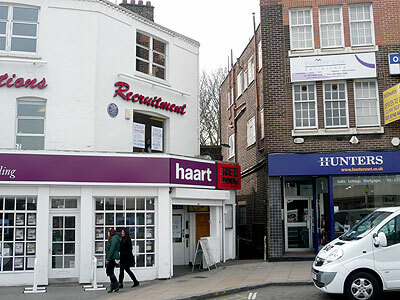 The club, now called the Red Room - opposite Ealing Broadway station, was originally a jazz venue, and in 1962 saw the birth of British R & B and the formation of the Rolling Stones. The plaque was unveiled by Bobbie Korner (widow of Alexis) the Mayor of Ealing, with Charlie Watts, Bob Harris and Tom Robinson in the crowd watching. Afterwards, I saw 'Whispering Bob' being interviewed outside the club and I went inside to find local musician Robert Hokum playing blues and an elegantly-dressed Charlie Watts sitting by the bar. " We reminisce about those heady days in the 60's and of the greats of British Blues, Mayall, Clapton, Green et al…., but what constitutes ‘the blues' today? There is a spectrum that encompasses blues based music on the ‘British' circuit today, from traditional acoustic roots to rock and soul. It is refreshing to see young performers bringing their own ‘take' on the blues. Some, who spring to mind are busy on the Blues Festival circuit. 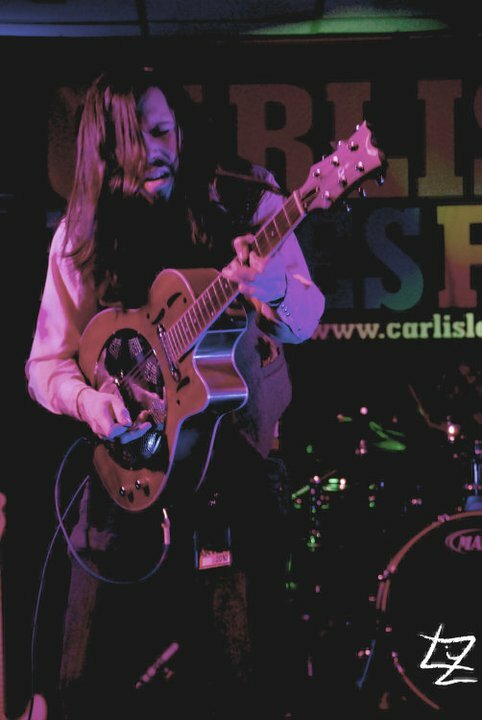 Marcus Bonfanti, an excellent performer with a ‘voice' in his boots! He plays solo acoustic, has his own electric band and also performs with other artists. Hokie Joint, a cross age band who perform their own individual take on blues music (once seen, never forgotten! ), with Giles King playing a mean blues harp, Joel Fisk who plays an excellent slide guitar, Stephen Cutmore keeps the rhythm on drums along with Fergie Fulton on bass. 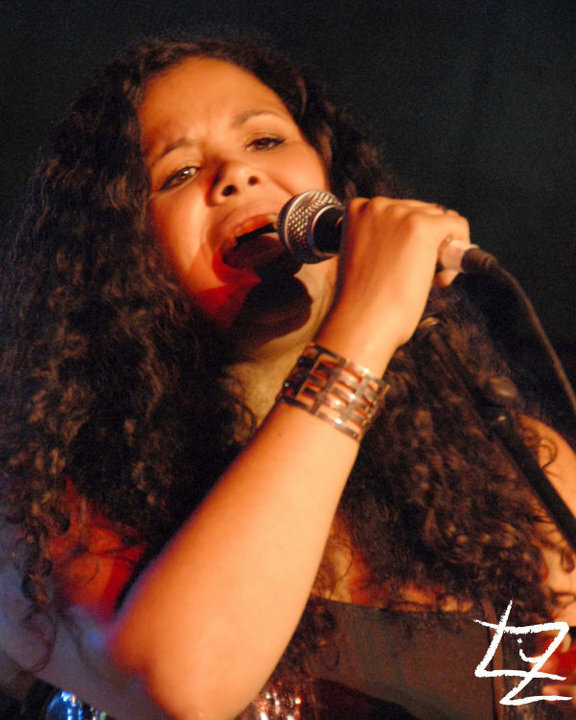 Fronting the band, JoJo Burgess on vocals, with ‘performance' being the front line! 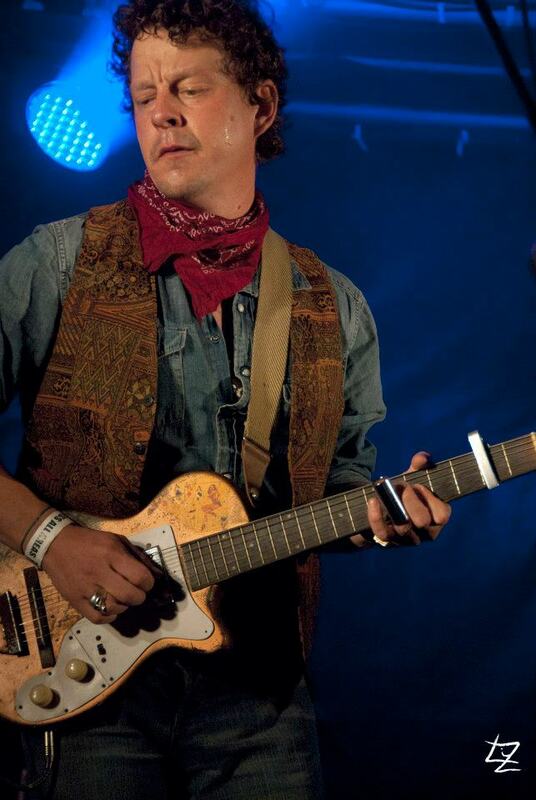 Ian Siegal brings acoustic roots music with great slide on his National guitar when playing alone, but ‘electrifies' when with his band, providing a captivating performance. He has a voice that reminds me of a cross between Captain Beefheart, Howlin' Wolf and Tom Waits. His style and leaning is towards country blues, with his live performances surpassing his CD renditions. 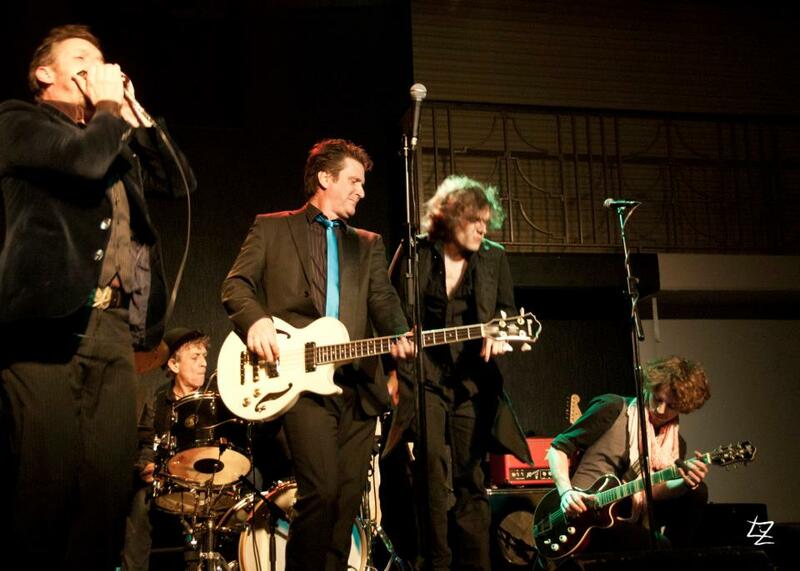 Forty4, a band yet to be ‘discovered', play Chicago style blues, but with a ‘funky' edge. They are a band who are so good live, had they been around in the 60's would have been picked up straight away. Such good musicians. 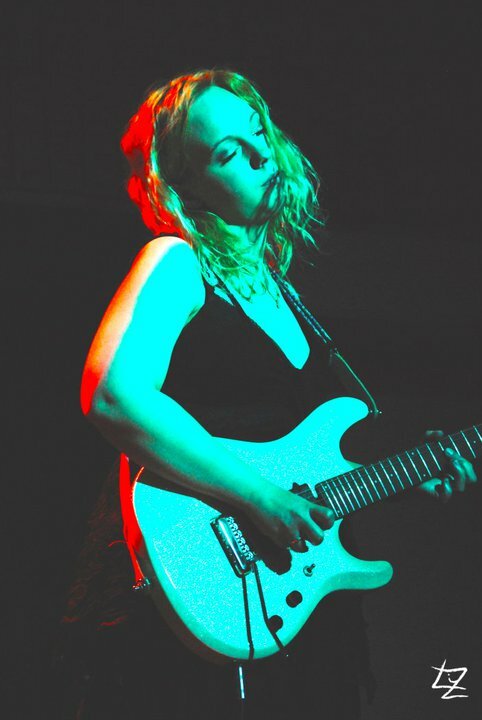 A mix for the girls, Chantel McGregor proves guitar playing ain't all ‘boys' stuff and young Lucy Zirins has found a niche in acoustic blues. 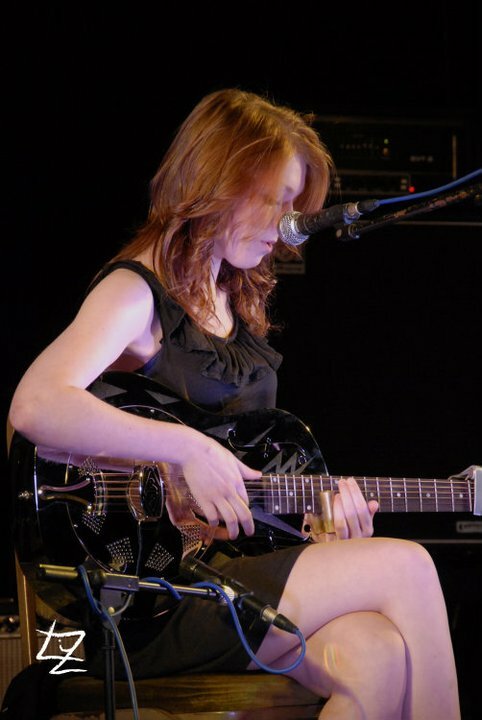 There are so many more bands and artists that could be mentioned, on our British Blues scene. It is such a shame that with so much ‘raw' talent out there, we lack the venues to give a platform for the performers, who fly the flag for British Blues. 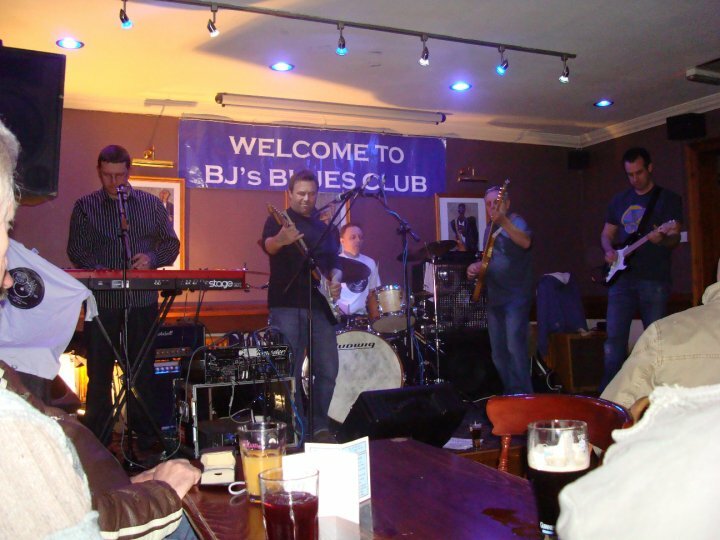 It's not just an ageing audience, as so many people think, but without the support of pubs, clubs et al, and the enthusiasm of like minded people, the ‘New British Blues' may fade away. The aim here is, as always, in ‘Keeping Live Music Alive' and also not to forget the route that British Blues has taken over the years. I say thanks to all the ‘older' blues fraternity and good luck to all the up and coming artists, who are the ‘new generation' of British Blues!